How We Test Smartwatches - Which? From battery life to notifications and even fitness tracking accuracy, we test it all so you can pick the perfect smartwatch for you. It isn't easy for a smartwatch to earn our Best Buy recommendation. 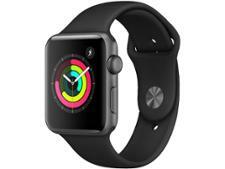 We’ll only a recommend a smartwatch if it offers genuine benefits above and beyond simply using your smartphone. 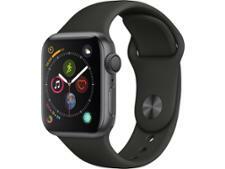 Because if a smartwatch is impossible to pair with your phone and difficult to use, lacks features such as the ability to reply to emails or texts, and has a battery that can’t last a whole day, then there’s no point in wearing it. Smartwatches from all the big brands, including Apple, Garmin, Pebble and Samsung, go through a raft of tests both in and out of our lab. The very best smartwatches will have brilliantly clear and reactive screens, plenty of functions, and plenty of apps to choose from. They will have plenty of juice in the battery from one charge, and be able to accurately track your activity, too. How well does the smartwatch receive and display notifications? Will the battery last the whole day? Is it well built and durable? Will it accurately track my fitness? 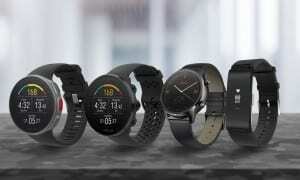 To find out which models aced our tough tests, head over to our Best Buy smartwatches. Read on to find out more about how our tests separate the smartwatches that will make your life easier from the ones that won’t. Smartwatches all receive text messages, call notifications and calendar alerts, and most receive email and social media notifications, too. But we’ve found differences in how quickly these appear on your wrist, as well as the level of detail you can see and how easy they are to view. Some simply tell you that you’re getting a call or you have a Facebook notification, so you’ll have to dig around for your phone to find out exactly what’s happening. The best smartwatches from our tests make it easy to reply to your notifications, meaning your phone can stay at the bottom of your bag or in your pocket. Our expert testers compare the notification and messaging features of each smartwatch and note handy features that speed things along, as well as any annoying niggles. And it doesn’t stop there. We also test how reliably each smartwatch receives notifications from your smartphone by checking the percentage of alerts that are received on the device. We’ve found one device that missed 60% of email notifications. All of this will help you to decide whether it’s worth forking out hundreds for a smartwatch, or whether you’re better off just using your phone. Keeping track of meetings and appointments might be your priority, but the killer feature for someone else might be keeping up with emails and messages at a glance. 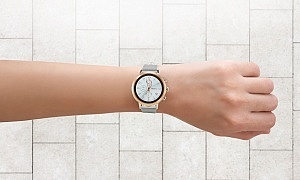 Or maybe aesthetics are important, and you want plenty of choices of watch face. We’re all different, and smartwatches need to be able to adapt to give you the features you need most. We delve into the settings of each watch to find out which models are the most versatile and capable of being tailored to do exactly what you need them to. We even check how easy it is to delete un-needed apps from the device, so you don’t waste valuable storage. Will a charge of the battery last the whole day? If you have to wait around for hours for your smartwatch to charge, you may find yourself leaving home without it. And if it doesn’t have enough juice to keep you up to date and in the know throughout the day, as well as provide directions when you're lost, then you’ll fall out of love with your smart watch quite quickly. In our lab we check how long it takes for the smartwatch battery to charge from dead to 100% - the best charge in less than an hour, while the worst takes nearly three hours to fully charge. We test how long the fully charged battery will last by putting each device through a series of tests, including daily routine scenarios both in and out of our lab, as well as replicating a night-time sleep scenario. We send 11 phone call and send 35 text message notifications throughout the day, as well as a selection of social media alerts. Is the smartwatch well built and durable? The best smartwatches are designed to be worn day-in day-out. 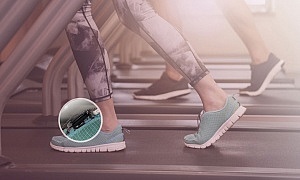 But that means these pricey devices could be put through all sorts of situations – whether that’s hopping on and off public transport, wearing it during a difficult workout session, or while doing a bit of DIY. So your device needs to be comfortable, well built and durable. We check the build quality of each device, including the quality of the materials it’s made from and the comfort of the strap, as well as the durability of the screen. We also check the scratch resistance of the screen using a dedicated scratch-test tool, which applies a set force to the watch. Most smartwatches are made of stern stuff, but some fitness trackers have failed to withstand the pressure, meaning the screen of the device could end up damaged. Many smartwatches include a variety of sensors to capture your fitness data - including heart-rate monitoring, step counting and calorie burn - or have built-in apps to do the job. Seeing your activity – or how inactive you’ve really been – right there on your wrist can be a great motivator to exercise more. But only if you can rely on the readings your smartwatch provides, which is why we check the accuracy of the fitness functions of each device. Our test participants walk on a calibrated treadmill at 4.8km/h for 10 minutes and run at 9-10km/h for 10 minutes. This means we can compare the how well each smart watch logs steps taken and distance travelled. Our testers also go through a routine of daily tasks, including loading and unloading a dishwasher, carrying the shopping, sweeping the floor and even sitting reading a magazine. We’ve found devices that underestimate your step count, making you walk even further to reach that 10,000-steps target. We've also found some smartwatches that are baffled by calorie burn, including one that overstated calories burnt while walking by nearly 70%. If you were relying on it to help you stick to a calorie-controlled diet, then you’d end up overeating. Each of our assessments goes some way to making up a smartwatch total test score – the overall percentage figure we award to each smart watch. A smartwatch needs to score at least 72% in our tests to become a Best Buy. Make sure you spend your money on an accurate smartwatch. See our smartwatch reviews.